What is L’ojesete Wrinkle Moisturizer? 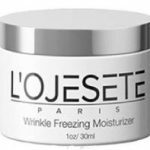 L’ojesete Wrinkle Moisturizer is an antiaging cream that helps to reduce and get rid of any signs of aging in the skin and wrinkles that might be present. According to the manufacturer, it is a formula that helps in fighting all the aging signs on the skin and leaves it healthy and young. It has peptides that help in keeping the skin moisturized and also promotes the production of collagen that helps in the achievement of the desired glow by replenishing the skin from the roots. It also eliminates wrinkles and fine lines in the skin helping you look beautiful and younger. 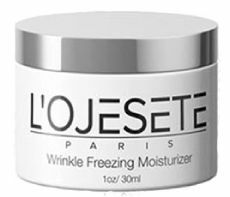 Who is the Manufacturer of L’ojesete Wrinkle Moisturizer? The product is manufactured by a company named Fit beauty. The company is located in the UK. They claim to be experts of skin care products and promise that their products do not contain any components that can cause negative effects to the users of their products. They also claim that they manufacture their products from natural ingredients and are extracted from firms that are organic to ensure that they do not cause any reactions to users. How Does L’ojesete Wrinkle Moisturizer Work? The product works by providing the skin with a balanced amount of collagen that helps to fight the properties of aging and eradicates any problems of the skin caused by aging. Collagen penetrates faster in the skin and stimulates the fibers inside to produce more. It has a peptide that improves the level of moisture in the skin and helps it look younger and soft. The mixture of the ingredients works well with the skin leaving it healthier and beautiful. L’ojesete Wrinkle Moisturizer Ingredients – Are they safe & effective? Squalene – This ingredient works by increasing the elasticity of the skin by increasing the retention of nutrients and retention of moisture. Sweet Almond Oil – This ingredient helps in reducing dark circles in the skin, reduces aging signs and makes the skin healthier. Sodium Bicarbonate – Works by lightening the dark parts of the neck to make one look brighter and younger. Potassium Sorbate – This ingredient is used in the product to prevent the other ingredients from spoiling by preventing the growth of microorganisms. Lemon Balm (Melissa officinalis) – It smoothens the skin, tightens it to reduce lines and also stimulates circulation. What are the Advantages of L’ojesete Wrinkle Moisturizer? It promotes the production of collagen and elastin to improve the elasticity of the skin. Helps in achieving a younger skin by brightening it and restoring its firmness. It increases the overall tone of the skin by hydrating and moisturizing it. It may eliminate patches and dark spots on the skin. It may reduce fine lines and wrinkles on the skin. What are the Disadvantages of L’ojesete Wrinkle Moisturizer? The individual results vary. This may lead to controversy because customers may review the product differently. 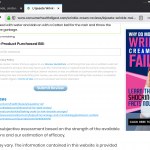 The official website of the product does not mention the number of servings per ingredient used in the manufacture of the product. The product only works for dry skin. It may not work if applied on wounded or broken skin. How Should You Use L’ojesete Wrinkle Moisturizer? One should wash their face with running water then dry the face then apply the product in little dots all over the face and neck after this slowly spread the cream on your skin. Massage the places applied in a circular way and leave it for some time to be fully absorbed by the skin. For the desired outcome, one should apply it twice a day. How Much Does L’ojesete Wrinkle Moisturizer Cost? The cost of the product is not given on the product’s official website. To get such information, one should contact the manufacturing company. What is L’ojesete Wrinkle Moisturizer’s Return Policy? There is no information about the product`s return policy on the official website of the product. Does L’ojesete Wrinkle Moisturizer Offer a Free Trial? The product`s official website does not provide any information concerning any free trial of the product. The Lojesete anti-aging cream seems to work well for customers by helping in the elimination of fine lines and wrinkles that appear on the skin as one grows. It may provide the skin with the molecules of collagen that may rejuvenate and build the skin to help users in improving the overall skin tone and helping it to attain an ultimate dermal structure. If anyone wants to get any information concerning the price or the ingredient, they should contact the manufacturing company for clarification. The anti-aging cream should only be applied on the dry skin. May not work if applied on broken or wounded skin. One should also read the ingredients properly to avoid any allergies that may be caused by some ingredients. Finally, one can consider other anti-wrinkle creams online that serve the same purpose as L’ojesete Wrinkle Moisturizer if it doesn’t work well with them for better results. After paying the small amount for shipping I received the product. I just received my monthly statement and was changed almost 200.00. Stay away from this bogus so-called free product, just pay for shipping. They should be investigated and given a large fine. They are thieves. I received the product and noticed I would be charged $95 unless I canceled. So I canceled and so far I have not been charged more than the shipping for the product. I made it clear I was not happy with not being told the full amount that would be charged before I ordered and threatened a false advertising charge. I was transferred to a manager who canceled my membership. I have only tried the product for a week and so far I only see minimal change. but maybe the other products recommended here will do the same for less, and with less hassle. I called my credit card company and got a full refund. This company is a fraud. Also, I got a terrible rash using this cream. If it happens to you wash your face with Dove soap. Then using a Cotten ball and a mixture of Apple Cider Vinegar and water dab on your face several times a day. It worked for me. I wish I had read these reviews before getting the trial. I had barely received the product and was auto billed on the 14th day not knowing what I was even billed for. Customer service hung up on me after saying that I agreed somewhere to be billed after 14 days. When I called my bank they said it happens all the time. Best I could do was call back and cancel and get cancellation number. So $95 down the drain. Do not fall for their tricks. I got this product on a trial basis for $4.95 and I’m looking at my statements, they’ve taken $200 from my account the 99.94, then 94.99 for Feb. and Mar? I want my money back NOW! The cream is ok but not worth $200!! I’m furious! WHY? Get a life!!!! Used the product on their trial period not knowing that i would be charged about 200.00 with no way to refund product. Not even a partial refund. I thought i looked good enough for any auto charges but i missed it apparently. But i should be able to send back product for refund if i don’t want it. While talking to them all they say is i’m sorry very poor customer service. I would not buy this product again it is not as it appears. Worst experience ever and $200 LOSS. I wouldn’t order this product if it was a miracle cream after experiencing this inexcusable level of poor customer service. They would not even allow me to return the unopened, sealed, unused product because it was “31 days” (on a Monday) from the order date (could not be reached over the weekend)!! The product is good. my issue is with customer service. I was unaware that after 14 days of purchase, I would be charged the full amount of around $95. I called on the 15th day only to get a runaround and being hung up by the manager. she was not being helpful and definitely needs to learn a little bit about customer service. I then called by and spoke with someone else who at least offered me a refund of 75% and I took that. at least the second manager Aaron was trying to help. the product is good though but I never had an opportunity to even try it to see if I wanted to continue on. buyer beware!